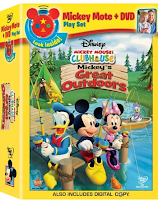 Mickey Mouse Clubhouse: Mickey's Great Outdoors on will be out on DVD May 24th from Walt Disney Studios Home Entertainment. This movie pack includes a DVD, a Digital Copy and a Mickey Mote ( a cute Mickey remote for kids). I have been a Mickey fan since I can remember (about 4 years old lol). I was so excited to share Mickey and pals with my son. This DVD is great for the summer time. We are hoping to take our son fishing this summer at the lake. The DVD is full of the fun and action of all Disney movies plus some learning! I love that the same characters I grew up loving I can now have my little Bubba watch! The animation is colorful and cute. I look forward to watching this one again with my little guy. This would be a great addition to any kids DVD collection. Our favorite story was the Fishy Story. The Mickey Mote was something new to us. Of course my boy had to have it the minute he laid eyes on it. At first he started to wave his arm all around while he was holding it, he thought it was a new Wii remote lol. He loves pushing buttons on electronics so he had a fun time messing with the Mickey Mote. I am sure once he is a little bigger he will get the hang of it. I was happy to see there are many more Disney Mickey Mouse DVDs that use the Micky Mote. We will be looking for them in the stores. Disney’s Mickey Mote works with any Disney Preschool DVD that includes the Discovery Mode™ feature – an interactive “Watch and Play” feature on the DVD. All parents have to do is program the remote control - there’s an easy and quick set-up guide in each DVD - and select the Discovery Mode feature on the menu screen. Within minutes, kids will be easily able to respond to questions about scenes they just watched by pressing one of four color-coded buttons on the device -- a yellow star, green circle, orange triangle or blue square – to click in their responses. Discovery Mode features include two levels of play, which provides more challenging questions as the child grows. To date, there are more than 13 Disney Preschool DVD titles for parents to choose from that can be used with the remote control. 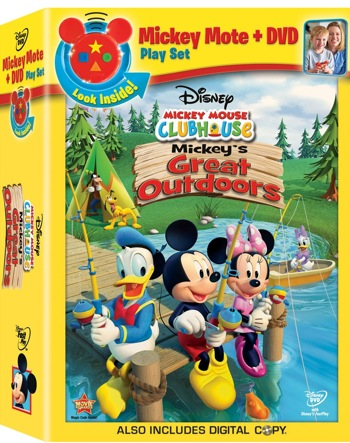 You can win your own copy of Mickey Mouse Clubhouse: Mickey's Great Outdoors with Mickey Mote. Tell me your favorite Disney Cartoon Movie or Character. *Limited to US residents; 18 years old and above. Giveaway starts May 13, 2011 and ends on May 27, 2011 at midnight PST. Winner will be emailed and has 48 hours to respond before another winner is selected. I was not paid for this giveaway or post. I was provided for free the DVDs mentioned in this post for this review. The opinions are 100% mine and may vary from others. My favorite disney character is Minnie Mouse! I always liked Arial from The little Mirmade. Jelous of that beautiful hair! My favorite movie and character is Belle from Beauty and the Beast. I saw it in the movie theater when it first came out and now with Blu-ray release my daughter loves Belle, too! I entered your Soft Lips giveaway, too! #1 I am a GFC follower! #2 I am a GFC follower! I like The Incredibles and the Toy Story movies plus all the oldies but goodies like Mickey, Minnie, and Pluto, love Donald Duck. Like Mickey Mouse Club on FB. I've always loved Pluto, he's so happy and funny! I have always loved Cinderella. 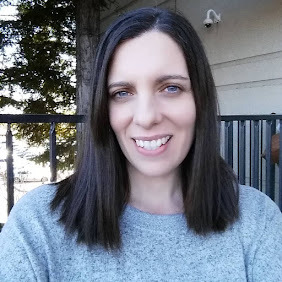 I Follow Frugal Family Tree on GFC - emillie. 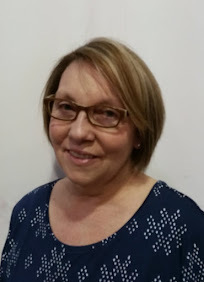 I Like your new fan page on Facebook Frugal Family Tree - emillie rose. I Follow FrugalFamTree on Twitter - hisprincess886. I Like Mickey Mouse Club on Facebook - emillie rose. I Voted for you for "Were on the Fence"